Sully Baseball: Can the Pirates leap frog into the 2012 playoffs? Ah... another Pirates post from your pal Sully. For a few weeks in 2011, things seemed magical in Steel Town. They had a 1/2 game lead for the NL Central title on July 19. On July 25th they were tied for first place. They were 53-47. They needed to go 29-33 the rest of the way to secure their first winning season since 1992. Instead they went 19-43 to secure their 7th straight 90 loss season. So here we are on the 20th anniversary of their last winning year. Is there hope? I say yes for reasons that have to do with the Bucs and their division. First of all the core of the team that played well in the middle of the year is back. Granted, nobody is confusing this group with the 1979 Fam-A-Lee. But there is talent here. Andrew McCutchen is a legit All Star building block. Neil Walker is a solid second baseman. They have talent in the starting rotation with James McDonald, Jeff Karstens and Charlie Morton when he is healthy. And in the pen Joel Hanrahan can close out games. It's not the 1995 Braves, but where there is talent there is the chance for some wins. Adding veteran Rod Barajas behind the plate can't hurt. 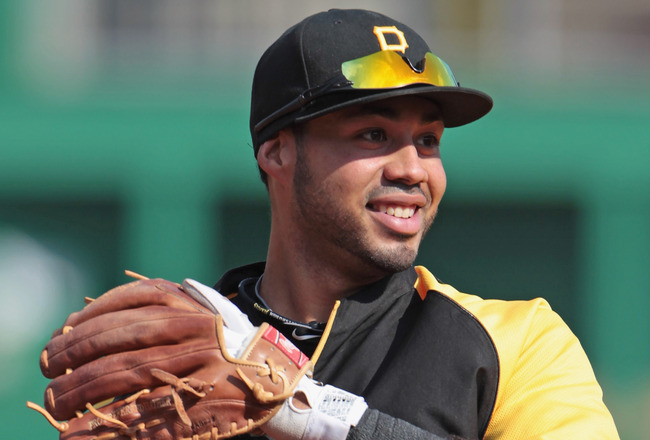 Plus Pedro Alvarez, who had a miserable sophomore season, could bounce back. And maybe, just maybe tasting some success in mid season and strife down the stretch would be a good learning tool for the Pirates. They might learn how to deal with adversity. An 85 win season isn't outlandish. It is no less likely than the Diamondbacks going from 65 wins in 2010 to 94 wins and the Division Title last season. But there are a few other factors that could make Pittsburgh and interesting baseball city for 2012. The National League Central Division is in flux. The Reds look damn good, especially with the inclusion of Mat Latos and Ryan Madson. But what if Latos' success was the result of pitching friendly PetCo Park? What if the Phillies were right to let Madson walk instead of inserting him into the closer role? The defending Division Champion Milwaukee Brewers just had a double Indiana Jones and the Temple of Doom like experience of having their hearts ripped out. Prince Fielder is gone and Ryan Braun will be sitting out the first 50 games. What should be a glorious renaissance in Milwaukee after their first LCS appearance since 1982 will be very somber. They'll probably take a step back. The defending World Champion Cardinals are coming back intact... except for Hall of Fame manager Tony LaRussa... and pitching coach guru Dave Duncan who can make any mediocre pitcher into a 15 game winner... and a first baseman named Pujols. Other than that, nobody important. The Cubs will be taking steps in the right direction but even Theo knows that the team is a mess and will need to shed some of their mammoth contracts before they make great strides. And the Astros as a mess. They are a mismatch of veterans, AAA players and a lack of direction. They can't even figure out if they are going to change their name or not. This is a Division that is ripe for a surprise team to emerge. Sure I am guessing the Reds will be the consensus pick to win the NL Central. If I were a betting man, I'd probably pick them too. But how often do consensus picks, especially when they are popular based on the weakness of the competition, fall short? I am sure if you made predictions for the 2011 season, you wrote the Red Sox, Braves and Giants in ink. A young talented Pirates team on a steady diet of Astros and Cubs games and low expectations could sneak up on a moping Brewers team, a Cardinals squad having an identity crisis and a Reds team not fulfilling expectations. You forgot to mention the starting pitching, that is why I think they cannot make it...yet.